With Summer now officially upon us and the UK weather becoming predictably hit and miss, it’s time to get planning a last minute break away! You needn’t frantically hunt on Google for holiday deals and the ideal Summer destinations, look no further than the beautiful Greek Islands. Here are a few reasons why you should seriously consider the Cyclades this Summer! The Greek Islands are some of the most photogenic places on Earth, with bright blue waters, almost guaranteed sunshine and very ‘Insta-worthy’ side streets. 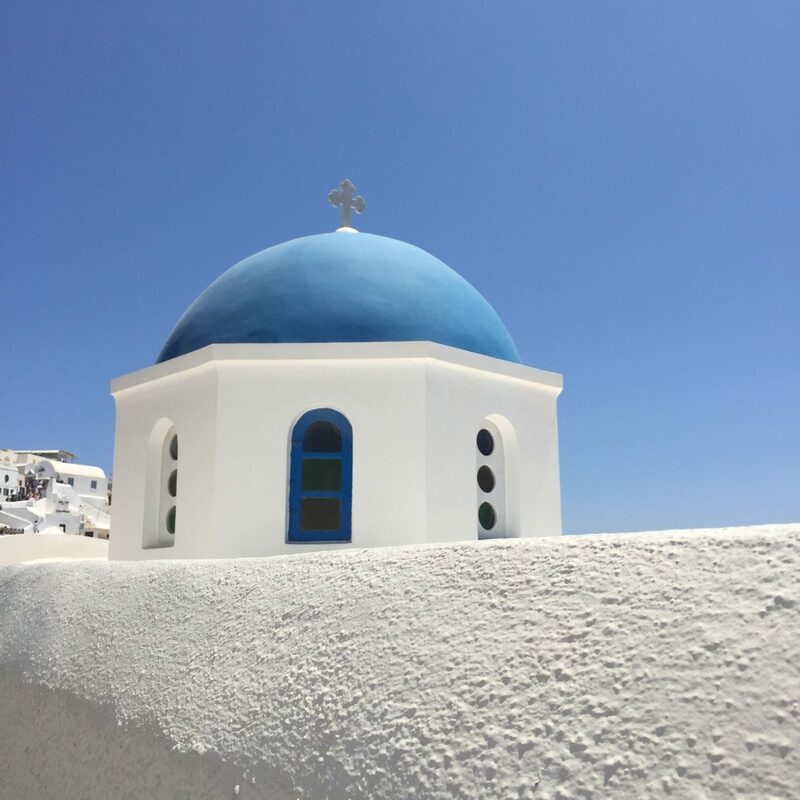 Mykonos and Santorini are particularly stunning with their white buildings and blue roof tops – it’s pretty easy to head off and explore to get that stereotypical rooftop shot. With stunning interiors and lots of pale blues and sandy pinks, if great photos are what you’re after, you won’t be disappointed! Top tip, get up a bit earlier (I know…!) to beat the crowds and get the ultimate shot. Things get very busy and crowded from 10am, so aim for 7.30/8am and you’ll be winning! The Aegean sea is one of the ‘bluest’ in the World and quite spectacular when the sun is shining. Aside from their photogenic qualities, the clear blue waters offer great snorkelling opportunities and the temperature is just perfect for a dip after working up a sweat in the sunshine. Top tip, be sure to grab a pair of ‘water shoes’ before your trip, making navigating the beaches that much more comfortable. Check out one of my favourite brands here. Undoubtedly the main highlight and major reason for me! As a big food lover, the local cuisine plays a huge part in any holiday and trip abroad for me. Greek food is very special if cooked right and authentically. Ideal for sharing, it’s a very social experience and a perfect way of tasting a number of different local dishes. All the Greek Islands are fantastic exponents of the local dishes, but I would always check a few places and ‘shop around’ before deciding on where to dine. Try and pick the more authentic, ‘rustic’ looking tavernas, the family run ones are always the best and often the real hidden gems of the Islands. Top tip, many local tavernas will host a ‘Greek Night’ once a week and it’s an evening well worth experiencing, with traditional music, dancing and most importantly wine and ouzo on tap! 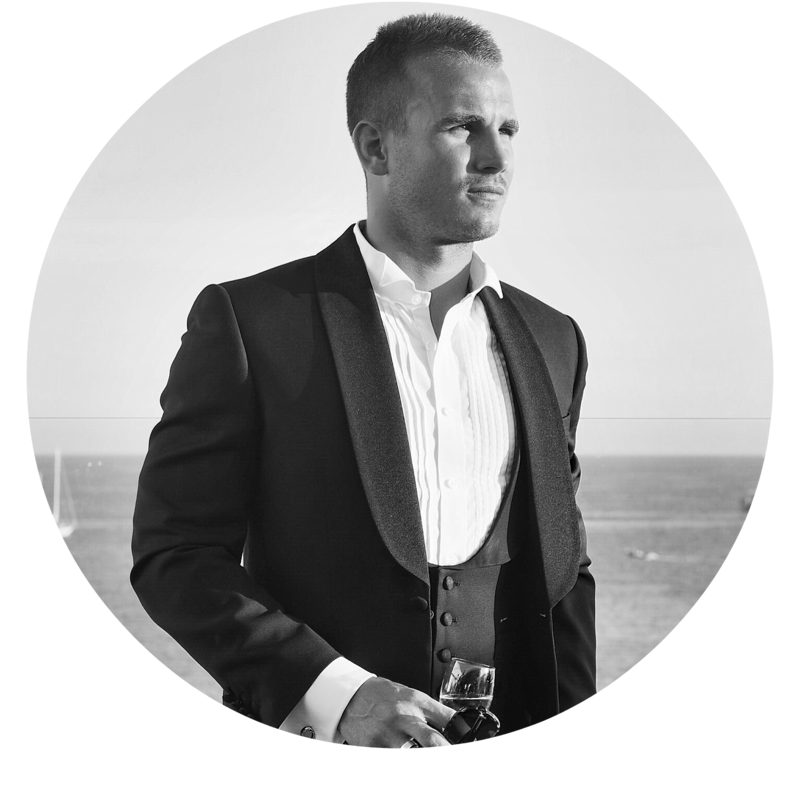 Ask at a few of the local tavernas when you arrive to get a table booked – you won’t regret it! For me there is not better place on Earth for freshly caught and prepared squid – this one in particular was NEXT level! It may seem like an obvious point but if you are looking for consistent sunshine and warmth, Greece is undoubtedly the place for you. I can think of nothing worse than travelling half way across the World to be met by drizzle – you could have just driven to Cornwall! The weather in Greece is notoriously reliable and the perfect escape from the UK. During the British Summer months temperatures can hit 40 degrees plus, so if you aren’t a serious ‘sunworshipper’ like me, best to look at early June or September when temperatures are a tad cooler. Top tip is to stay in a hotel nearer the coastline where there is likely to be a cooler breeze. The impact of the locals is often underestimated when planning a holiday, but the people often make the place and are integral to the atmosphere and general vibe! Greece has some of the friendliest locals I have come across, whether it’s a smiley ‘Kalimera’ (good morning) or help with directions, Greek people are very welcoming and make visiting the Islands all the more enjoyable. 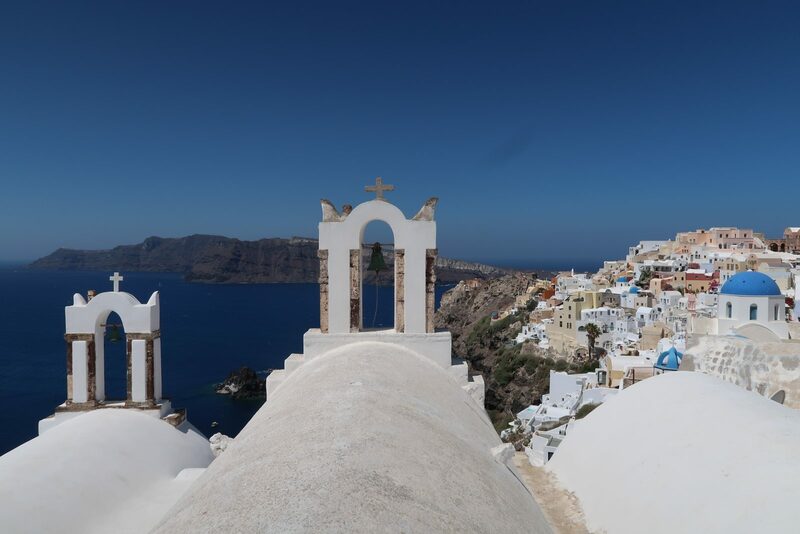 Last Summer Josie and I visited 6 of the islands within the Cyclades with Variety Cruises, travelling on the beautiful and very traditional Galileo. Flight time to Greece from the UK is under 3 hours and you can get some great deals flying from London to Athens with Aegean Air. If you are keen to experience lots of different places within a relatively short space of time, I would strongly recommend looking into a trip! Have you visited the Greek Islands before? Which are you favourite Islands? Can't wait to visit Greece again! Totally agree with all of the above!!! I'm obsessed with Santorini now! !